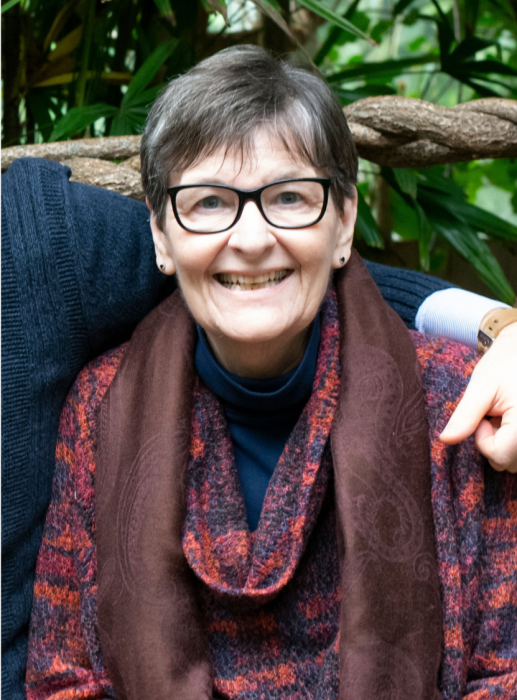 Margaret (Meg) Callaghan Gaffney, age 65, passed away peacefully on Saturday, March 16 th surrounded by the comfort of family at her home in Fulton, NY. She was born April 13 th 1953, in Oswego, to Edward (“Ted”) and Margaret Callaghan. After graduating from Oswego Catholic High School (1971) and Nazareth College (1975) she went on to lead a successful 40 year career as a human resources professional serving a variety of notable organizations throughout CNY. Meg had an uncanny ability to reach people in a deep and positive way. She found great joy in life’s simple pleasures; fresh brewed coffee, the giggles of her grandkids, shopping with her sisters, a stiff gin and tonic or treating herself to a lobster tail on extra special occasions.Fall getaways to the Catskills and planning holiday get-togethers with her family held a special place in her heart. The consummate matriarch, she always had a knack for finding fun games and activities to entertain her nieces and nephews and more recently, found joy in doing it for the family’s next generation of grandchildren whom she affectionately dubbed “the minis.” She lit up a room with her smile and her heart warmed all those in her presence, touching so many lives in an all too short time here on earth. She is survived by her husband, Craig; daughter, Sara (Jim) Enwright; son, CJ (Elise) Gaffney; sister, Cathy Cunningham; sister Ann (John) Allen; her four grandchildren (Anna, Callen, Parker, Brooks) and many nieces, nephews, cousins and in-laws. Friends may call at the Dowdle Funeral Home on Friday from 4:00pm –7:00pm with a service at the funeral home on Saturday at 11:30am . Spring burial will be in St. Paul’s Cemetery. c/o Mary Ann Wafter, 206 Prospect Ave, Syracuse NY 13203.